Fall Holiday 50% Off Fine Art Print Sale! 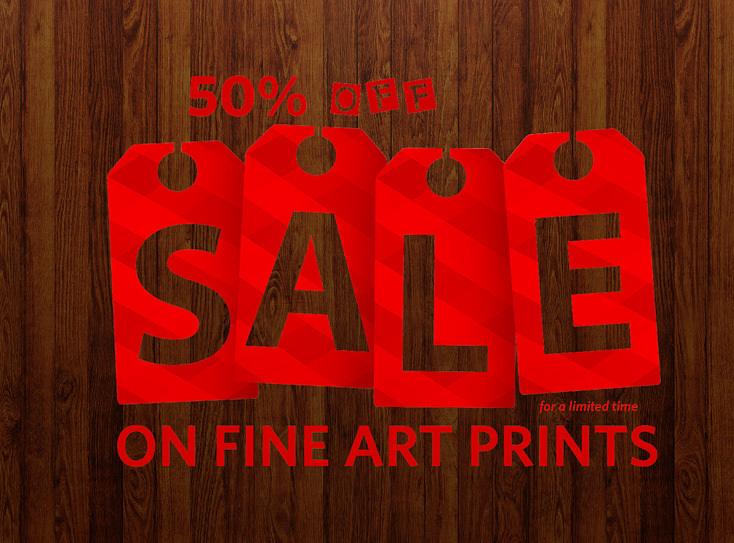 To get the ball rolling for the fall holidays, I am happy to announce a 50% off sale on all of my fine art prints until November 30th, 2013. How this works is very simple, just take 50% off my standard fine art print pricing, which can be found here, and contact me to order the print. If you have any questions about print sizes or available images please don’t hesitate to contact me. These archival prints are pain-stakingly created by some of the best fine art printers in the United States. We print on Canon and Epson printers and work with a variety of papers including both fine art matte papers and Baryta Photographic papers. The printer and paper combination is chosen specifically for each image so that each image will be rendered with the highest possible resolution and the widest color gamut. Our main papers are Moab Entrada Rag, Ilford Gold Fibre Silk and Canson Baryta Photographique. We offer a satisfaction guarantee or your money back (when the print is returned). Note: This is a limited time offer and I will only be offering up to five (5) Limited Edition Prints at 50% off for each Limited Edition image. You can see which of my images are Limited Edition or Open Edition on my website.